Although school shootings arouse great public concern, schools remain one of the safest places for children, according to National Crime Prevention Council. For Virginia public schools, one tool used to maintain their safety is the use of threat assessment teams. A new University of Virginia study examining implementation of threat assessment teams in Virginia public schools shows the vast majority of threats made in schools were judged to be not serious. In response to the 2012 shootings at Sandy Hook Elementary School, Virginia became the first state to require the use of threat assessment teams in every public school. 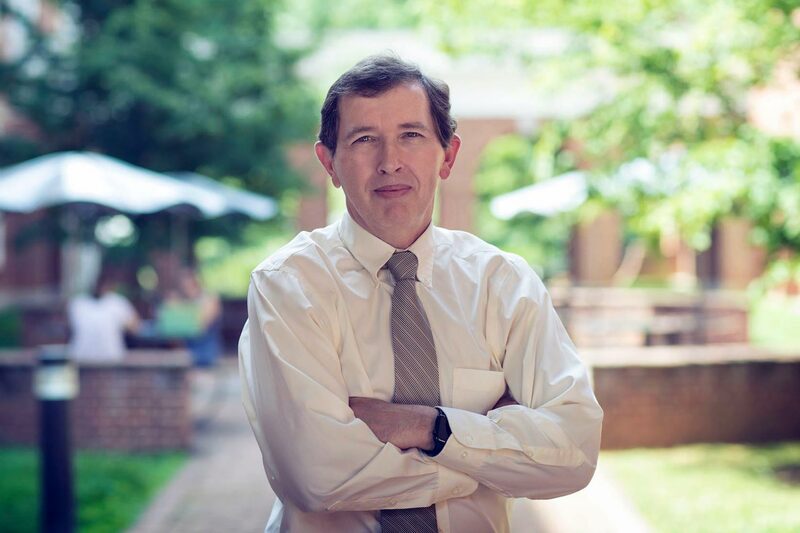 The commonwealth partnered with Dewey Cornell, a professor in UVA’s Curry School of Education, who has been studying school safety for more than 25 years and who created a model for threat assessment in 2001. “When threats are reported to school authorities, the challenge is to determine whether or not a threat is serious and what appropriate action to take,” said Cornell, who directs the federally funded project to evaluate the use of threat assessment teams in Virginia schools. Schools want to avoid both overreacting to student threats that are not serious and underreacting to threats that are serious, he said. According to Cornell, a threat assessment team is a multi-disciplinary team of school staff available to help students involved in a crisis or in a conflict that includes a threat of violence by an individual within the school. State law requires Virginia teams include “persons with expertise in counseling, instruction, school administration and law enforcement.” The team usually includes administrators, counselors, psychologists, social workers, school resource officers, teachers and/or other staff who work toward a goal of helping students solve conflicts or concerns before they escalate into violence. “Though threat assessment continues to be widely endorsed as a school safety practice, we have very little research on the implementation of this practice in schools,” Cornell said. “This study provides the first statewide examination of student threat assessment.” It covers the 2014-15 school year. The article, published in School Psychology Quarterly, examines the implementation of threat assessment across Virginia public schools and identifies how threat assessment teams distinguished serious from non-serious threats. Examining a sample of 1,865 threat assessment cases reported by 785 elementary, middle and high schools, researchers found that only 30.5 percent of cases were determined to be serious, with 69.5 percent considered not serious. “The determination that a threat is serious is based on an assessment of the circumstances and risk factors unique to each case, but some consistent features of serious cases were identified,” Cornell said. The threat came from a student in middle or high school. The threat came from a student receiving special education services. The threat involved homicide, battery or weapon possession. The threat targeted an administrator. The researchers also found that a threat was 12 times more likely to be carried out if it was categorized as serious. Schools reported that students attempted to carry out their threats in only 3.3 percent of cases, or in 62 of 1,865 total threats. None of the threats resulted in serious injury, although some of them resulted in fights. These findings give schools an alternative to zero-tolerance discipline, in which every student is treated the same way, regardless of the seriousness of his or her behavior. The research team’s prior studies showed that schools using threat assessment teams reduce the use of school suspension and transfer and are able to keep almost all of these students in school. The research on threat assessment teams in Virginia is an ongoing project. This study found that only about half of Virginia schools had threat assessment cases during the school year. This suggests that some schools may need to improve their threat assessment process, as it is unlikely that no threats occur during a school year. In response to the results of this study, the research team at UVA has developed an online educational program that schools can use to explain the threat assessment process to students, parents and school staff. The program is available to schools upon request and is intended to help schools increase the reporting of potentially serious threats. “Although it is unrealistic to expect that school teams can make completely accurate predictions about a student’s future behavior, these findings support the credibility of the threat assessment process,” Cornell said.